The last school bell has rung and it’s finally HOME TIME! Even though they’re twins, Lilly and David don’t agree on much… except that the last summer before high school is the perfect time for relaxing with friends. But their plans for sleepovers, fantasy games, and romance are thrown out the window when the whole gang falls into a river and wakes up in a village of fantastic creatures. Hailed as magical spirits and attacked by lizards, these kids must find their way home — if they don’t throttle each other first. 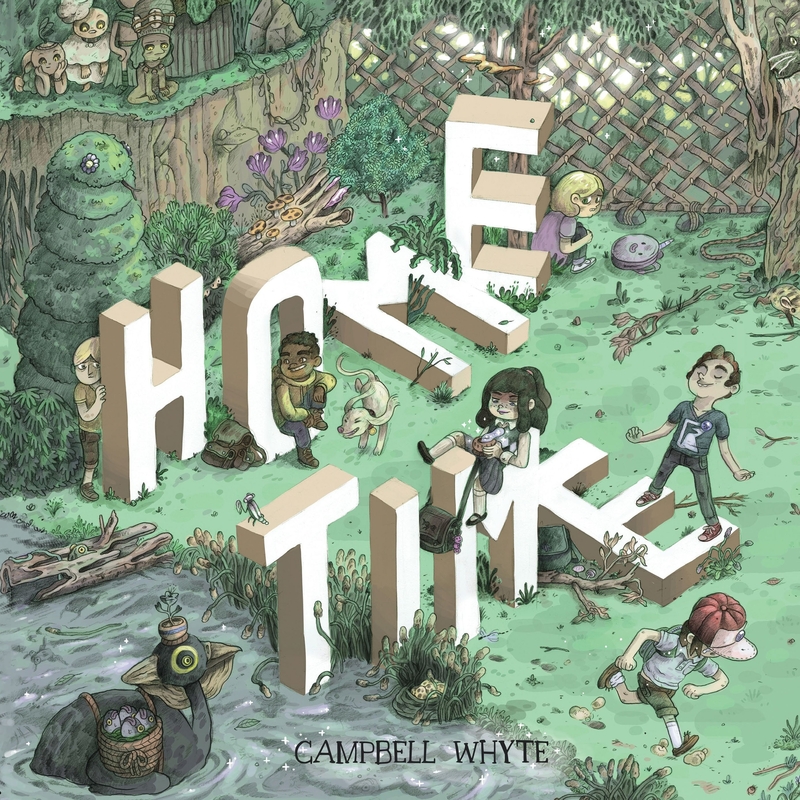 Australian cartoonist Campbell Whyte combines the rich imagination of Dungeons & Dragons with puckishly charming characters and a touch of video-game geometry in his spectacular first graphic novel. Love Home Time (Book One)? Subscribe to Read More to find out about similar books.